This is the page for the Taunton FD. They have 6 engines, 3 ladders, 1 rescue, 1 brush truck, and 5 stations. I only have a picture of Engine 4. 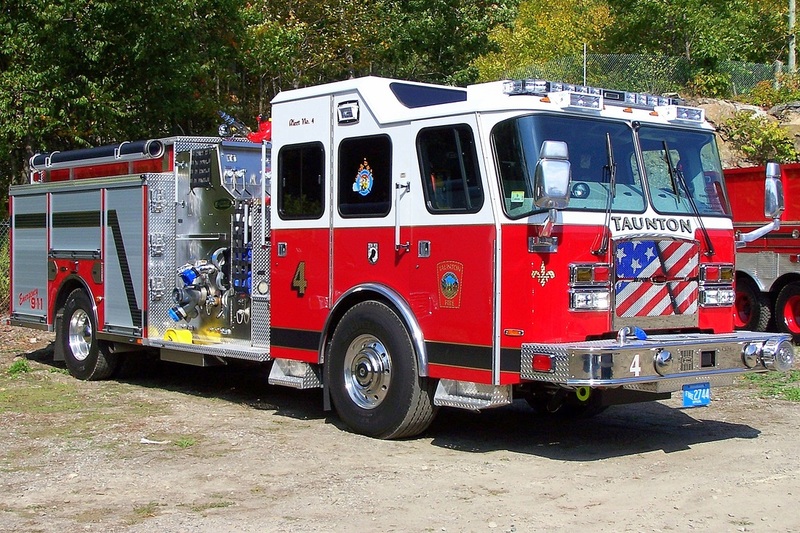 Taunton's Engine 4, a 2014 E-One Cyclone II.